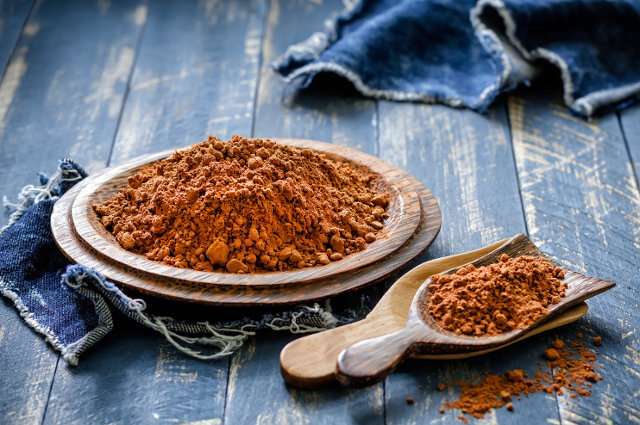 As if you needed another reason to enjoy cocoa products, a recent study by Tufts researchers found that epicatechin, a flavonoid found in cocoa, certain fruits and beans, and green tea, has protective anti-aging effects in healthy mice. Antioxidant flavonoids have garnered attention for their anti-inflammatory effects on our cardiovascular systems and other benefits. Some researchers think they are natural anti-aging agents. However, when put to the test in the laboratory, many of these flavonoids promote health and increase life span only in mice fed a high-fat diet or with certain disease condition—in other words, not healthy mice. Researchers are now trying to identify which of these natural compounds may target normal aging pathways to promote healthy aging, extend life spans, and prevent the development of chronic degenerative diseases associated with age. Chao-Qiang Lai, a molecular biologist at the Jean Mayer USDA Human Nutrition Research Center on Aging at Tufts, and Hongwei Si, an associate professor at Tennessee State University, turned their attention to epicatechin. Abundant in cocoa, epicatechin has been credited with many of cocoa's health benefits. Scientists think it may be the reason people living on an island off the coast of Panama, who consume beverages made from natural cocoa bean, have better health and increased life spans compared to those on the mainland. Si previously published a study that showed epicatechin increased the survival rate of obese, diabetic mice. To see if it would do the same for healthy individuals, the researchers gave epicatechin to old, but otherwise healthy, mice. The epicatechin-treated mice lived significantly longer than untreated mice. They were more active, had fewer age-related health issues, and showed less skeletal muscle degeneration. 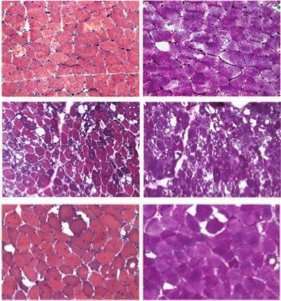 In fact, muscle tissue from old mice that received epicatechin looked just like muscle from young healthy controls. This is notable as progressive loss of muscle tissue and function, known as sarcopenia, occurs naturally during the aging process, and in people, can lead to a decline in general health and quality of life. "This is a stunning effect," said Si. "You hardly see anything like that, which has a profound effect on delaying the aging of skeletal muscle tissue in old mice." Genes function as instructions so cells in your body know what proteins to make. A subset of proteins within your muscles is known to decrease with age, a phenomenon that is often associated with a decline in muscle function and sarcopenia. To determine what biological changes were behind the beneficial effects of epicatechin, Lai and Si looked at this phenomenon—called gene and protein expression—in skeletal muscle tissue, and metabolites in blood. Surprisingly, they found that epicatechin treatment caused gene expression and protein levels of old mice to resemble that of young mice. Those metabolites in blood known to detrimentally decrease with age were instead protected and expressed at levels comparable to young mice, possibly leading to their improved health outcomes. In healthy individuals, calorie restriction and exercise are known to increase life span and decrease age-associated disorders. Epicatechin treatment, without any other dietary manipulations, positively affected anti-inflammatory and muscle integrity by targeting the same biological pathways that are promoted by exercise and calorie restriction. Lai and fellow researchers hope to follow up this work, which was published in the FASEB Journal, with human studies, to see if epicatechin can be a helpful tool in preventing sarcopenia and age-related disease in people.